Firstly you need to open the Windows Control Panel. Then choose вЂPrograms and FeaturesвЂ™. This will bring up a list of all applications on your computer. Scroll down this list until you find Simple PC Optimizer. Select Simple PC Optimizer and then click the button at the top of the dialog box that says вЂUninstallвЂ™. 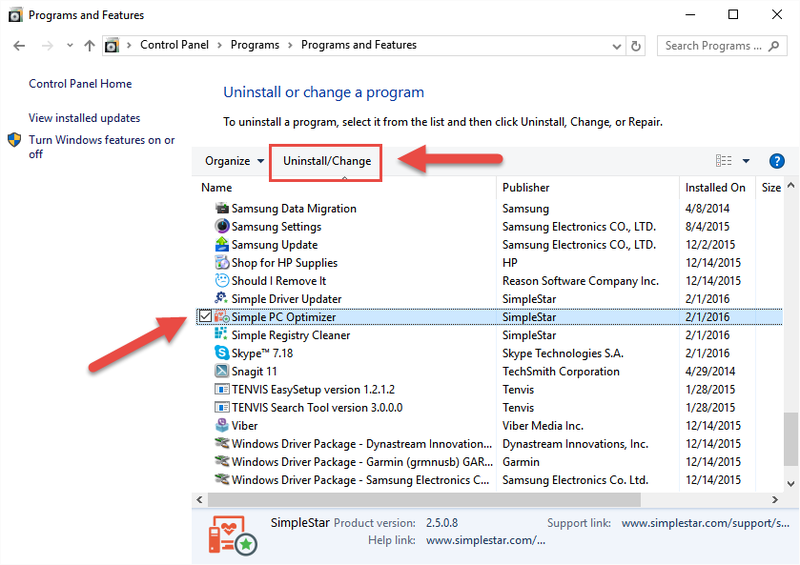 This will start the Simple PC Optimizer uninstaller. Follow the prompts and the application will be removed from your computer.